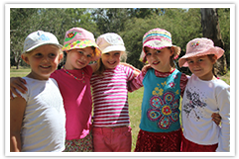 Bush Kinder is a new, innovative program providing a valuable ‘forest kindergarten’ – Australian bush – experience. Children enjoy the far-reaching benefits of this nature-based kindergarten program by actively utilising the outdoors as a classroom. The Farmhouse, which offers the Bush Kinder program, is set on over 12 acres for the children to enjoy and be at one with nature. 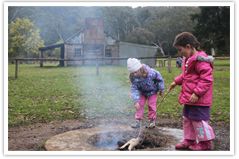 The educators also take this one step further by taking Bush Kinder students out to experience the Howqua Hills Historic Area in our Victorian High Country once a term. Bush Kinder is a government-recognised, funded kindergarten just like anywhere else in the state. We meet all government requirements, follow recommended guidelines, and deliver a high-quality kindergarten program which is guided by the Early Years Learning Framework (EYLF). Popularity of Bush Kinder has soared, as children and parents alike revel in the thrill of being so involved with nature and having the freedom to be themselves. 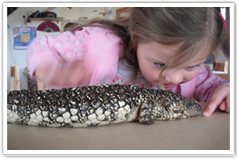 Nature Kinder is a beautiful environment for children to explore elements of learning in a comfortable and interesting environment. In incorporating similar philosophies as Bush Kinder, children have a gentle introduction to educational concepts, while enjoying the freedom and independence of exploring their own characters and personalities. 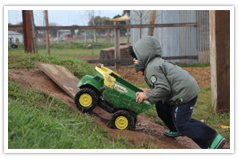 Our Bush Kinder (4yo program) and Nature Kinder (3yo program) are both extremely popular programs at The Farmhouse! If you’d like to enrol, please give us a call or ask as you drop by. Places traditionally fill quickly, so get in early so you’re not disappointed.